Arkansas native, Lee Moore moved to Memphis in 1975 with only one goal in mind: to make it big in the music industry and to release music that would be played in New York, L.A and everywhere in between. 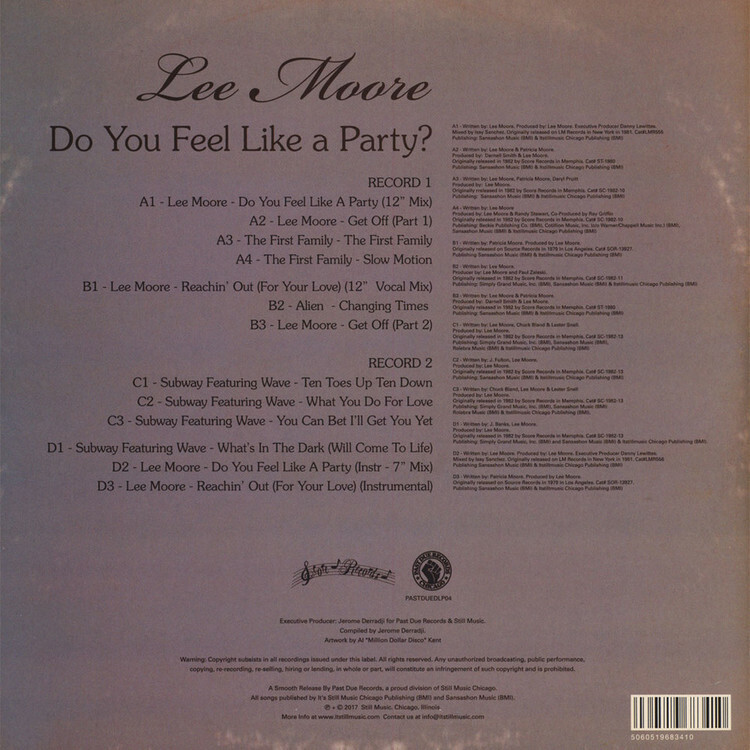 As a singer and songwriter Lee Moore spent the 1980s collaborating in Memphis with the best of the best session musicians and vocalists from labels like Volt and Stax Records to record and release futuristic boogie, soul, and funk. 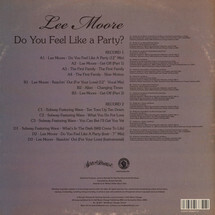 Lee Moore unfortunately never got close to reach his goals of fame and fortune. Past Due have taken the welcome liberty of repressing this monster slice of Disco-Soul from Moore's catalogue for us all to enjoy and spin on today's dance-floors. 'Do you feel like party?' is a rare early 80's jam from the man and features all the hallmarks of his unique sound and style.This DLP features every (incredibly rare) single and 12” that Lee produced under his name and different monikers.